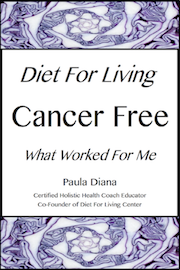 Paula is Co-Founder and Lead Instructor at the Diet For Living School. She knows first hand the benefits of a Raw/Living Foods diet. Her journey to recover from cancer led her to discover the works of Dr. Ann Wigmore. Dr. Ann’s concepts of healing with cleansing Raw Foods led to miraculous changes in Paula’s own health. As a Holistic Health Practitioner for twelve years in San Diego, California, she had a very successful Mind-Body Program involving massage and hypnotherapy. She moved to Northern California in 2000, creating the first Clinical Massage Program at the College of the Redwoods in Eureka, California. 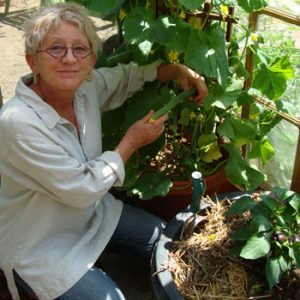 Coming to Albuquerque, New Mexico in 2005, she found the perfect place to continue her practice in Raw/Living Foods education and alternative health. She received an Advance Nutrition Certification from the Creative Health Institute in 2007 as well as studied Raw Food Nutrition at Living Light Institute in Fort Bragg, California. As an accomplished Raw Foods Educator and Chef she brings to Diet For Living School all of her immense knowledge and passion for good health and wellness, with ten years dedicated to the Raw/Living Foods diet. She has created her dream of teaching practical healthy living methods based on the ideas of Dr. Ann Wigmore as well as so many others. Joseph is Co-Founder, Instructor and Program Director of Diet For Living School. 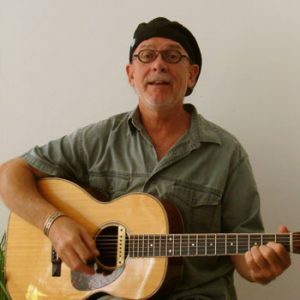 He has dedicated thirty years to the practitice of personal and spiritual growth and has dedicated ten years to the Raw and Vegan Living Foods diet. He enjoys excellent health and credits that to the many benefits of the Raw/Living Foods diet. He has been a nurse for over twenty-five years, working in the Clinical Cardiology Department at Scripps Hospital in San Diego, California. He has seen first hand the damage that the Standard American Diet can cause as well as the uses and misuses of our system of ‘health care’. In San Diego, as a Certified Holistic Health Practitioner, he created a individually focused Mind-Body Healing Program involving massage and hypnotherapy which allowed him to understand how alternative health maintenance practices assist in healing and wellness. Coming to Albuquerque, New Mexico in 2005, he found an oasis of like minds in all aspects of health and healthy eating. He is certified as a Colon HydroTherapist from the New Mexico School of Natural Therapeutics. He seeks to share his passion for healthy living and the Raw and Vegan Living Foods lifestyle with others.